About Us | Gleeson Powers, Inc.
Our Goal: to be the best specialty contractor in our marketplace and our industry. Gleeson Powers was founded in 1992 after recognizing the need for a quality, professional contractor dedicated to firestopping and passive fire protection. Over the last 25 years, Gleeson Powers has grown into a leading firestop and specialty contracting company, offering a range of services focusing on sealing and protecting new and existing buildings from the impact of fire & smoke, air, water and sound – including firestopping, air & vapor barrier, waterproofing, and caulking services. We provide professional expertise on new construction and renovation projects for commercial, healthcare, life science & pharmaceutical, institutional and municipal buildings. Our goal is to be the best specialty contractor in our marketplace and our industry. We do this by focusing on solving complex specialty construction issues so that our clients can stay on schedule and in budget with one less headache. We are firmly committed to providing the best possible service and quality to our customers. We take a professional approach and insist on the highest standards of workmanship, safety and customer service. Respect: It’s the foundation of everything we do. Integrity: We do what we say we’re going to do. Customer Service: We believe in YOU, We, i. Quality: We do it right the first time, and we don’t cut corners. Can-do Attitude: We get it done. Continuous Improvement: We can always be better – as a company, as a team and as individuals. We pride ourselves on being leaders in our industry. Gleeson Powers was the first Underwriters Laboratory (UL) Qualified Firestop Contractor and among the first Factory Mutual (FM) 4991 Approved Firestop Contractors. We remain one of the only contractors in the United States to hold both accreditations. We are an Air Barrier Association of America (ABAA) Accredited Contractor in the application of fluid applied and self-adhered membrane air barrier systems and spray foam insulation applications, and are the recipients of the 2019 ABAA Excellence Award. 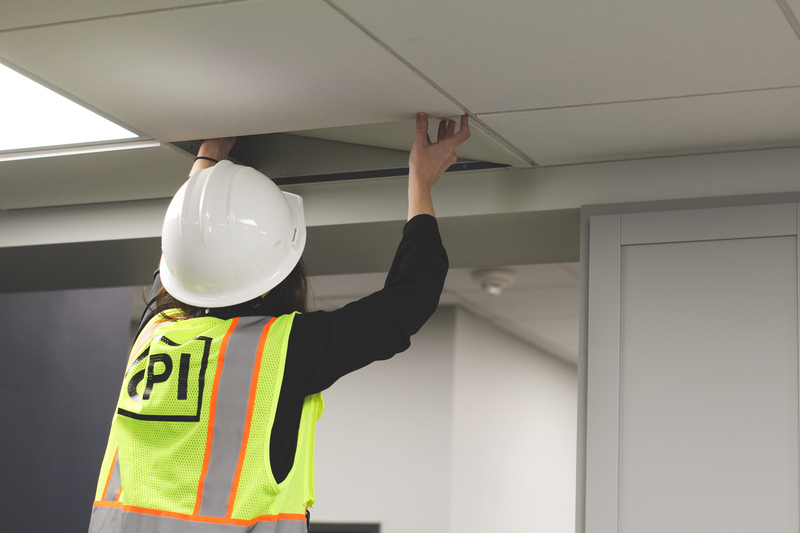 We have five Designated Responsible Individuals (DRIs) on staff, a Certified Healthcare Constructor (CHC), a LEED Green Associate, Fire & Egress Door Assembly Inspection (FDAI) trained and certified fire door inspectors, and a fully trained workforce in our specialty trades. We are the developers of The Life Safety Tracker System®, a customized fire barrier management software that has helped solidify fire barrier management and documentation as best practice in life safety compliance. Gleeson Powers has a strong presence in the Northeast and is headquartered in Eastern Massachusetts. Our service area includes all New England states, New York, New Jersey, Pennsylvania, Delaware & Maryland. In the Boston area, we are the leading contractor specializing in the installation of firestop systems and smokeseal products.